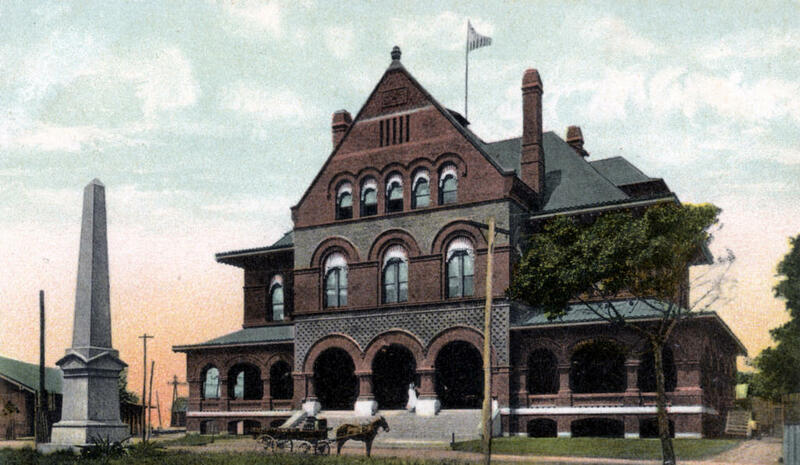 The Custom House on Key West Harbor has been a landmark since it was built, as shown by this vintage postcard. Today the Custom House is an art and history museum, and site of an exhibit on the history of tourism. While tourism has been the Keys' dominant industry since the 1970s, travelers have been stopping by the island for much longer. The exhibit shows an 1857 letter to the New York Times claiming that "for those affected with pulmonary or bronchial complaints," Key West was "the place to visit." Visitors can see one of the island's first guidebooks from 1892, mostly filled with ads for cigar factories. At that point, cigar manufacturing and sponge collecting were the primary industries. But the guide also includes an ad for a newly opened hotel, boasting "gas, electric bells, salt water baths and all modern improvements for the convenience and comfort of guests." Rooms were $4 a night then. The exhibit will be on display at the Custom House Museum in Key West until Oct. 1. "Both our local and out-of-town visitors can recognize the historical and contemporary significance of tourism to our economy and our everyday lives," says Cori Convertito, curator at the Key West Art & Historical Society. The exhibit includes a vintage Polaroid camera and some risque promotional materials. It delves into the good and bad of it. "While the exhibition examines some of the more entertaining facets of tourism in the Florida Keys," she says, "it also explores the more profound changes to the tourism industry, including the arrival of Flagler’s railroad, the influence of the WPA artists during the Great Depression, and the influx of gay business owners in the 1970s and 1980s."